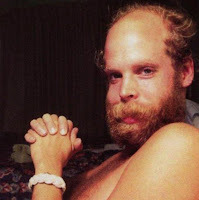 Will Oldham is bringing his freakishly gurning mouth, beard and genius to Vicar Street on June 15th. So says Jim Carroll on his blizzog (hyperlink thingy not working so just go to On The Record). Not sure about tix yet but this is already my summer highpoint. Now I need Joanna Newsom to come back and I’ll pop my clogs happy. I said clogs. Oh and also, Fran Cosgrove is doing a DJ set in Zanzibar on Saturday night so warm up your flame-throwers people. Warm ’em up goooooood. toasted Franmallows for all. Knowing meme knowing youyou. Aha. So Gardenhead ‘tagged’ me for this MeMe thingy and I have become more interested than I thought i might on first glance. Many thanks for giving me the chance to snoop around other people’s accounts and find out things about them. I’m gonna dispense with my cynicism and jump arse first into this. Write six random things about you in a blog post. Tag six people in your post. Let each person know they are tagged by leaving a comment on their blog. Let the taggee know your entry is up. 1) I can fit the entire top of a pint glass in my mouth and usually drink most of the contents, without using my hands (to hold the glass, not to drink with…that would be mad, like the concept of Alien Nation). People who are pissed seem to enjoy this. 2) As a kid I convinced my little sister to get into a suitcase, which I then locked and brought downstairs to the sitting room and to my parents. She freaked out and it’s something she recalls to this day when telling peeps about her older bruv. That and the fact that I hanged her dolls from her wardrobe..sometimes. I love her really. 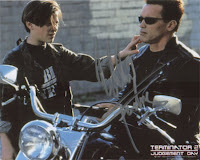 3)Edward Furlong in Terminator 2 was my fashion idol when I was a teenager. I even had that fringe thing swooping across my head. 4)I have often been mistaken for Graham Hopkins (Boss Volenti, Therapy) over the years, when I am sporting a beard, and have had long conversations with people in nightclubs about my touring of the world and being a rockstar. One guy in Crawdaddy wouldn’t let me go and made me tell him rock stories for at least an hour before. Secretly I loved it. 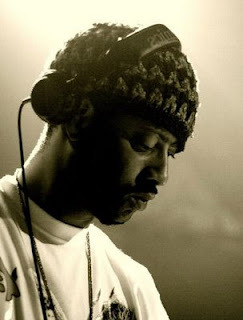 I met Hopkins a few weeks ago in Whelans and we do kinda look alike. His friends thought so too. I’m sexier though. Ahem. 5) I do good impressions of many different accents; Scottish, and specifically Edinburgh, being my speciality. Actually, I also know the ‘Alien Nation’ word for pigeon so if you see me, ask and I’ll say it for you. It sounds kinda like ‘dork’ but you have to cluck before you say it, like a chicken. Remember Alien Nation? Nice. 6) I once, many moons ago, pooped in someone’s front garden on the way home from a nightclub and I’m not proud, but it happened and it’s along time ago but it just happened and that’s it so deal with it. I cannae do another one coz they’re all tagged already and my intaynet connection keeps shutting down so i’m cheating, slightly. Sorry if you were tagged twice or thrice. Adios.